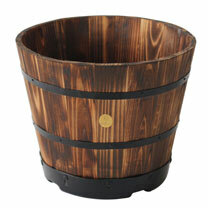 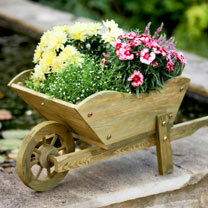 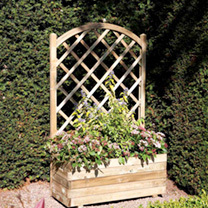 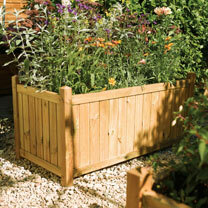 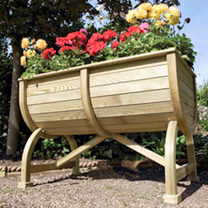 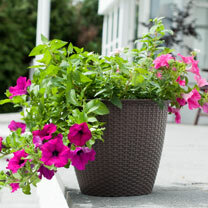 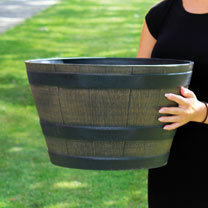 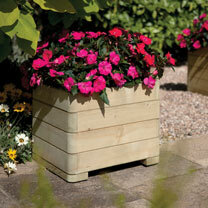 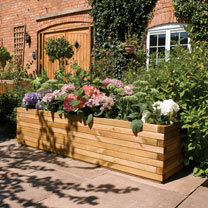 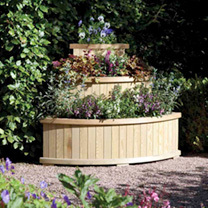 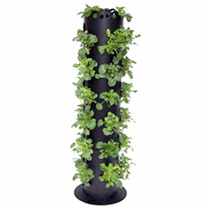 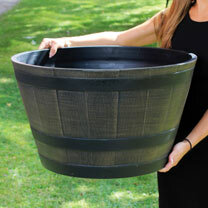 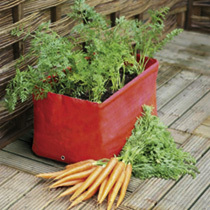 This traditional and rustic oak barrel design planter is made from durable and weather resistant plastic. 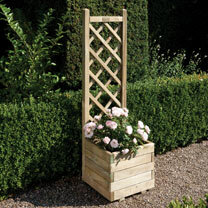 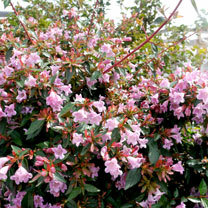 The largest of three sizes available, it measures 37cm high, and a depth and width of 63cm. 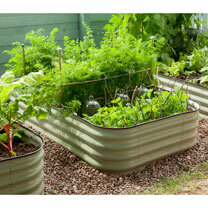 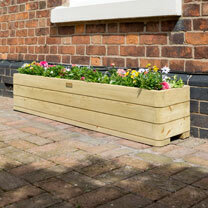 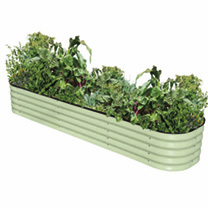 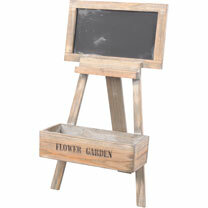 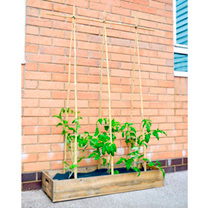 Flower garden planter trough with school style imitation chalkboard. 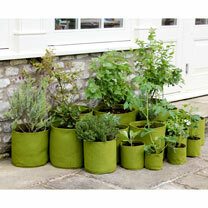 Ideal for sticking post-it notes to as gentle reminders. 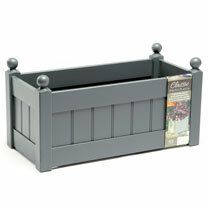 Trough measures 30 x 11.5 x 8cm; overall height 57cm. 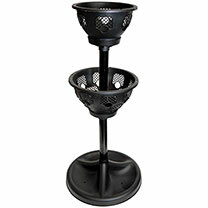 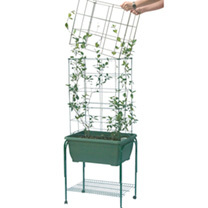 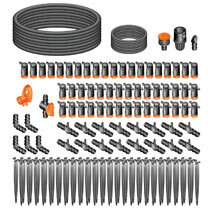 Complete with water reserve and suitable for both indoor and outdoor use. 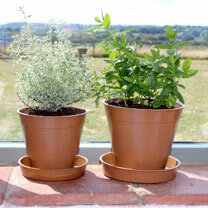 The pot comes complete with a bung to allow indoor use so no saucer is necessary. 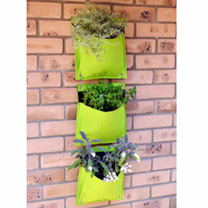 Ideal for modern and elegant homes. 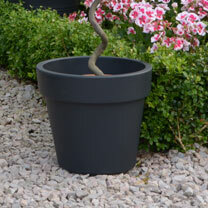 Anthracite 22cm pot. 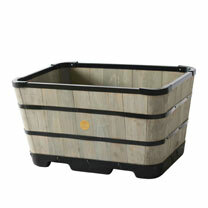 Complete with water reserve and suitable for both indoor and outdoor use. 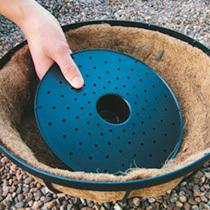 The pot comes complete with a bung to allow indoor use so no saucer is necessary. 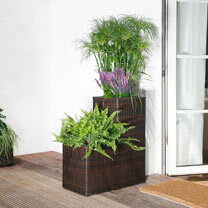 Ideal for modern and elegant homes. 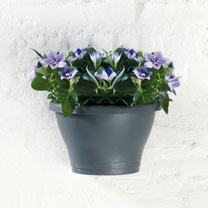 Anthracite 30cm pot. 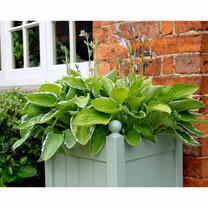 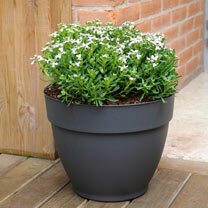 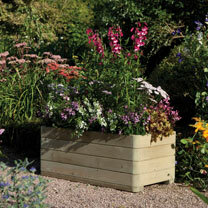 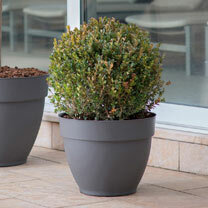 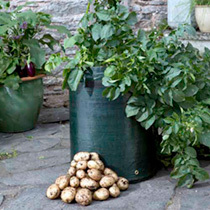 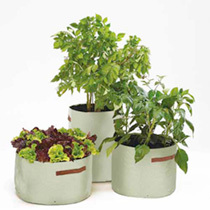 Our robust and attractive dark grey pots will make a stylish addition to your garden. 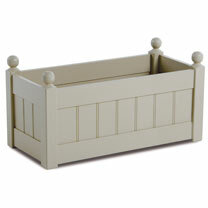 Size 23 x 19.3cm high. 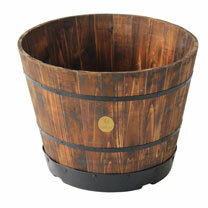 This traditional and rustic oak barrel design planter is made from durable and weather resistant plastic. 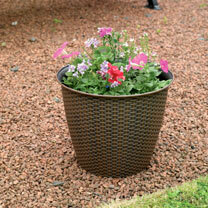 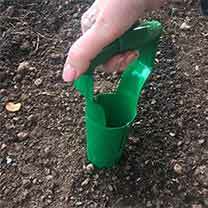 The middle size of three sizes available, it measures 27cm high, and a depth and width of 44cm. 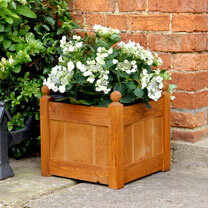 A square planter with tongue and groove panels. 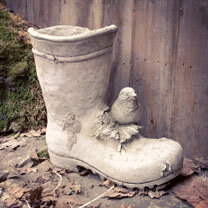 50 x 50 x 50cm high. 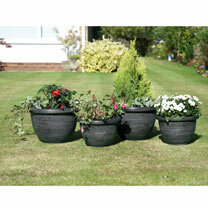 Available to UK Mainland only.PLEASE NOTE: A 5 delivery surcharge for this item is applicable. 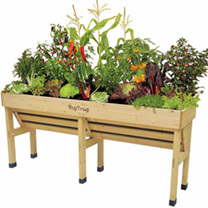 Also available separately is a sturdy trolley 46cm (18") x 64cm (25") x 71.5cm (28") high to raise it off the ground and make it easily portable. 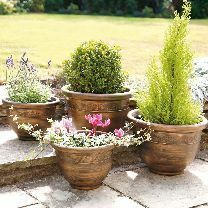 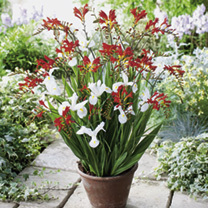 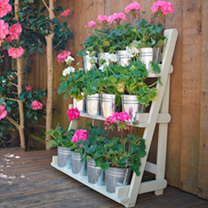 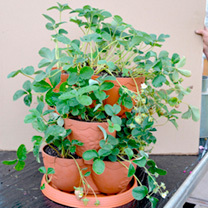 Ceramic effect plant pot, made from durable and weather resistant plastic, High shine gloss finish gives a realistic effect of glazed ceramic while being lightweight and easy to transport. 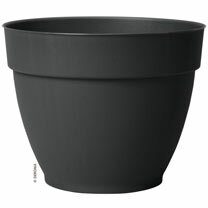 Diameter on top: 50cm. 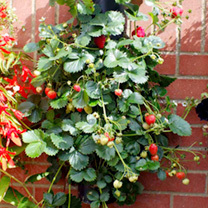 H40 x W50 x D50cm. 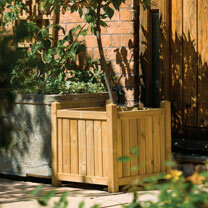 Complete with water reserve and suitable for both indoor and outdoor use. 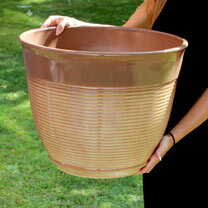 The pot comes complete with a bung to allow indoor use so no saucer is necessary. 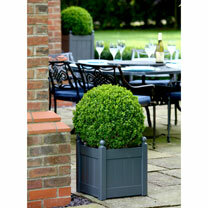 Ideal for modern and elegant homes. 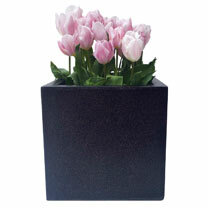 Anthracite 26cm pot.